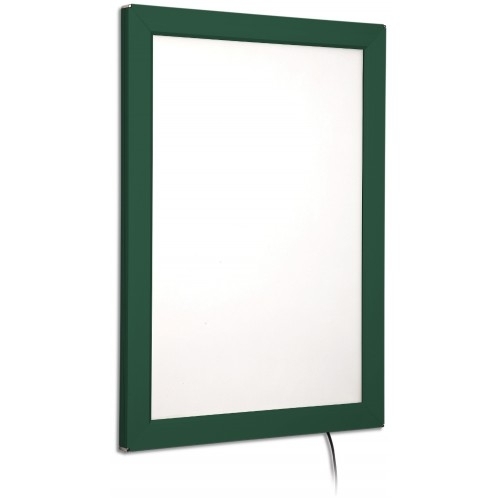 LED illumination technology with a fantastically slim frame at just 22mm and available in various colour finishes. 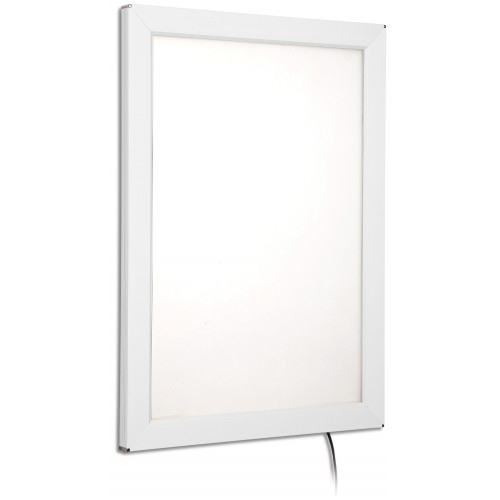 These Light Boxes run maintenance free for up to 100,000 hours saving on running costs and the low voltage power supply makes them easy and safe to install. Bespoke sizes and colours available on this product. 1-2mm thick protective poster cover included. Graphic size: 594mm x 420mm (A2). Visible size: 574mm x 400mm.